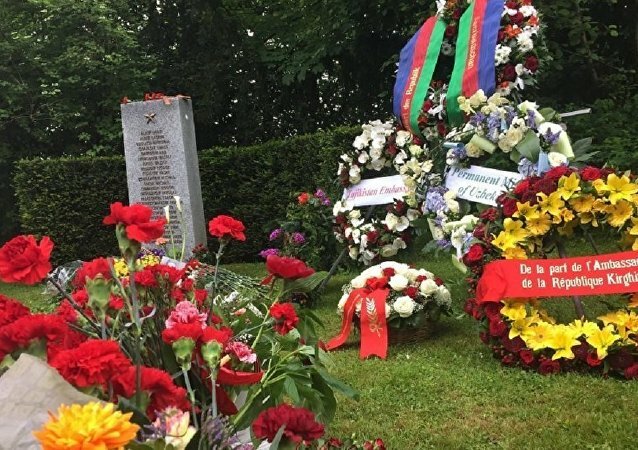 The World War II commemoration event, dubbed "Immortal Regiment," took place in the Swiss city of Basel on Tuesday, with around 200 people attending the event, a Sputnik correspondent reported. 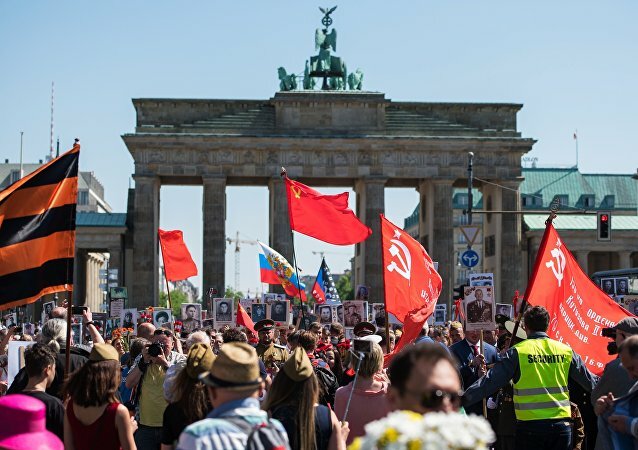 The "Immortal regiment" march to honor the victims of the World War II was held in the German capital for the third year in the row, a Sputnik correspondent reported on Tuesday. 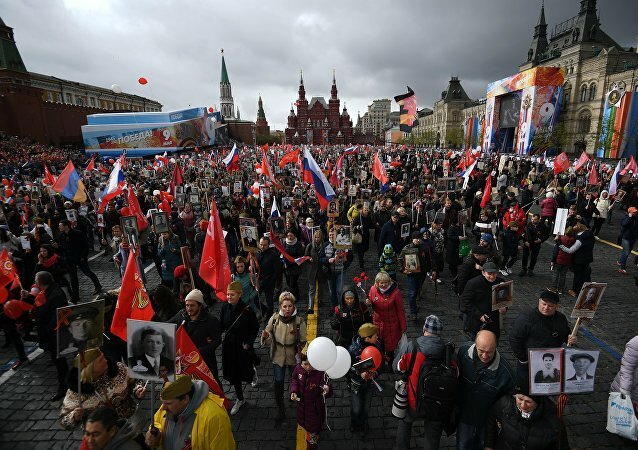 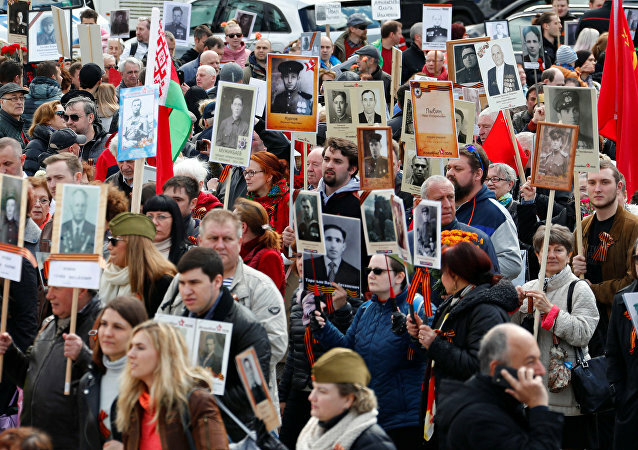 The "Immortal Regiment" march has kicked off in Moscow on Tuesday, May 9, to mark the 72nd anniversary of the capitulation of Nazi Germany to the Soviet Union in the 1941–1945 Great Patriotic War. 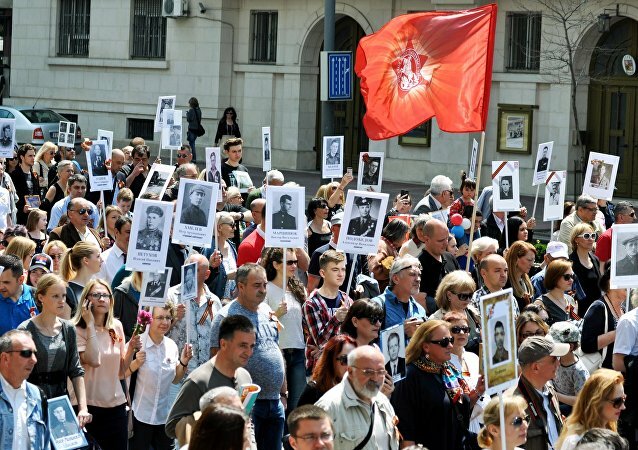 The final destination of the "Immortal Regiment" commemorative march in Kiev was blocked by a group of people, according to the Ukrainian police press service. 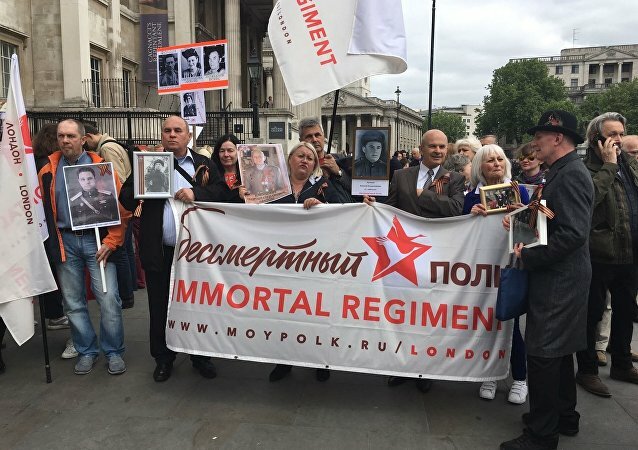 The "Immortal Regiment" march was held in the Israeli city of Ashdod Monday, the city’s Deputy Mayor Vladimir Gershov said. 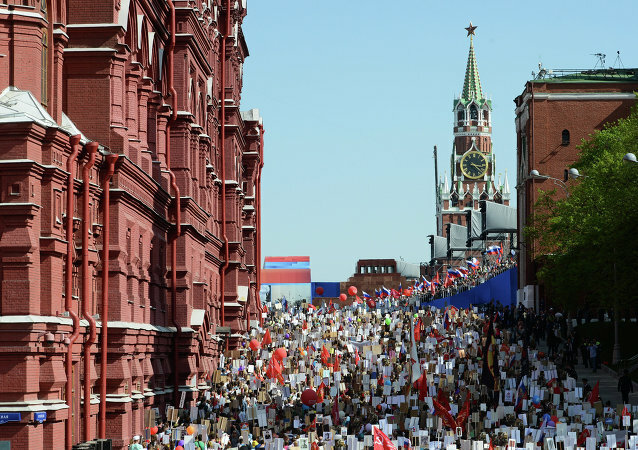 Russia' Ambassador to France Alexander Orlov said that the "Immortal Regiment" march held in the French capital on Monday showcases the strength of the Paris-Moscow "friendship." 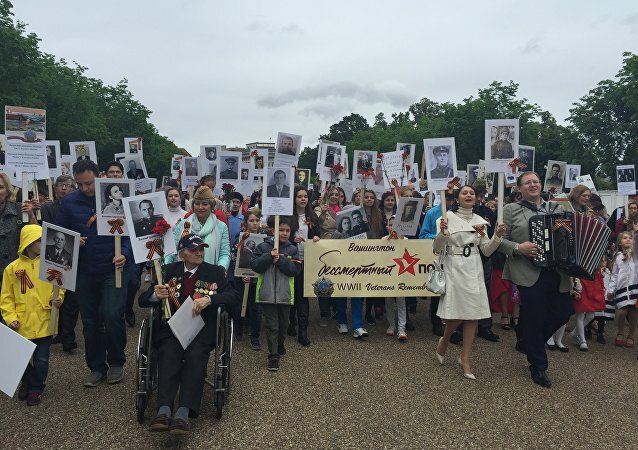 Hundreds of people marched down the central streets of Washington DC as part of the "Immortal Regiment" march on Saturday afternoon to honor those who fought against Nazism in the World War II.